We have several plans designed to make your move to the web affordable and hassle free. We provide you with a complete solution including domain registration, website design and hosting. 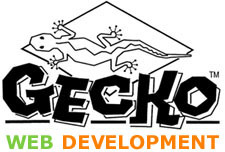 Copyright © 2002 - 2019 Gecko Web Design & Development - Brighton, Quinte West, Trenton, Belleville, Cobourg, Peterborough, Ontario. All rights reserved.